Let’s talk about the population and available energy to get the feel of crisis in near future. 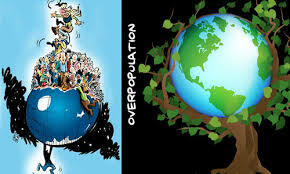 The population of the planet has grown more than 3 fold, from 2 billion in 1900 to +7 billion in 2014 which is really alarming as far as depleting stock of energy is concerned. The oil, natural gas and coal were formed from the plants and animals that lived up to 300 million years ago. The fossil fuels are found in deposits beneath the earth’s surface and these fuels are an exhaustible energy source because it takes millions of years for them to form. They are not renewable and can’t really be made again. We have started to extract and use of fossil fuels for energy from the 19th century. Presently we are using appx. 80% combined energy sources (basically all fossil fuels). Now, the big question is “How long will fossil fuels last?” We assume that the population will grow at 1% p.a. and per capita energy use growth of 2.5% p.a. The expected lifetime for these fossil fuel reserves are mentioned in the bracket. At current levels of consumption, the world’s oil reserves are expected to last about 30 years. There may be some oil that is currently undetected, but it can’t be economically extracted with current technology. The side effect of using fossil fuels is the global warming to the planet. In the past, the earth has been much colder and at times warmer than it is now. The climate change is occurring much faster than these natural changes along with emission of hazardous CO₂, CH₄, N₂O, and O₃ which cause warming. The global average air temperature has raised 1°F in the past 50 years. We are facing more severe weather, melting ice bergs and rise in the sea level. Since the beginning of the industrialization, the atmospheric CO2 has risen from 280 ppm to appx. 380 ppm. It is paramount to save these precious fossil fuels by conserving energy and using alternative energy sources. We require more money and research for developing these alternative energy sources for future. There is a need of innovative ideas for governments and manufactures to reduce the dependency on fossil fuels. This could be done by implementing the policy of limiting number of fossil fuelled vehicles so that consumers won’t have choice for purchasing the fossil fuel vehicles. They will be forced to use alternative energy fuelled vehicles, however, this will lead to low growth and dissatisfaction to consumers. To safeguard the planet we have to do this kind of unpopular approaches for the future generation. I think the governments are needed to do something from their side like create an investment climate for clean and renewable energies. One solution could be, unlocking the incredible potential of energy efficiency program for the present energy consumption. Support and inspiration for an innovation and public R&D programs.